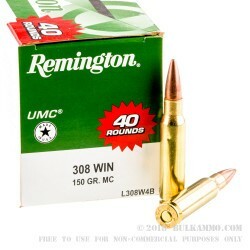 This .308 ammo by Remington is a great choice for your next trip to the range. Each round is newly manufactured, brass cased, boxer primed, non-corrosive, and reloadable. 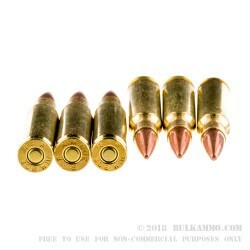 This round features a 150 grain metal case projectile that leaves the muzzle at approximately 2820 feet per second. Remington's metal cased projectiles are essentially just FMJ, but with a different name. 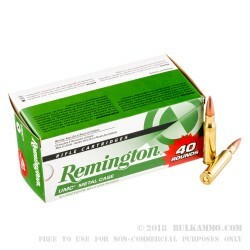 Remington has been manufacturing high quality ammo for more than 150 years. 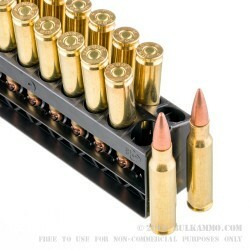 Grab this 400 round case of .308 ammo today!